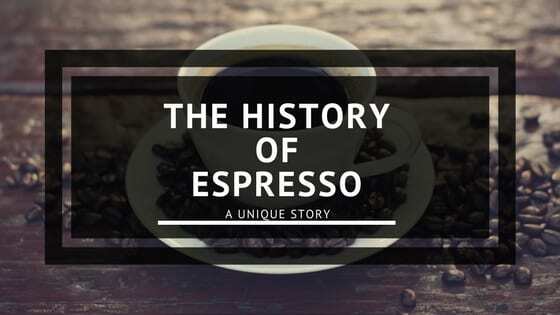 The story of Espresso is unique. You might expect it to be about coffee beans, the search for the perfect flavor or about the exact science (or art) that makes pouring an exquisite demitasse of espresso possible. But the story isn't like that at all. Instead, the history of the espresso coffee is about locality, about a generation of people and about inventions. It's a bit like espresso itself. You'll just have to taste it for yourself. If you wanted to hatch a political revolution... rehash a local sports event... air your perspectives on the meaning of life... or just put another taxing day at work behind you... the public coffeehouse was the place to go. When you stepped inside the door, you saw men relaxing together, sitting around the bar, fraternizing with steaming coffee mugs in hand. In the late 1800's in Italy, coffee was often a guy thing. It was about relationships. It was about a place to go. In Italy, coffee was a bridge to unite. The world was rushing, fireboxes ablaze with the passion for invention, into the era of speed. Everything had to be faster, more efficient, more mechanized. Espresso was not originally brewed for taste nor quality. It was not about the crema nor the concentration (both accidental side effects of the espresso revolution). It was about serving coffee faster, "express." Steam engines drove locomotives, ultimate symbols of the newborn power and speed of the day. Caffeine-powered coffee harmonized with the accelerated mood of the hour. Men wanted a fast machine to deliver their coffee, too. Preferably a steam machine. Espresso is all about the machine. That's why the term "stovetop espresso" is technically incorrect. Espresso doesn't require a particular coffee bean. It isn't really defined by the flavor or the presentation.  True espresso comes only from an espresso machine. In Turin, Italy, in 1884, a patent was granted for a steam-powered machine that would produce coffee. Angelo Moriondo had visualized a big boiler that would force water through coffee grounds at 1.5 bars of pressure (1.5 times the amount of pressure naturally exerted by earth's atmosphere) in order to quickly prepare large quantities of coffee. Yet another boiler was required for the machine to generate steam to finish brewing up the mechanized coffee. Moriondo invented this new machine for the Turin General Exposition, a World's Fair focused on industry. The big coffee machine was quick and economical. At the World's Fair in 1896, one steam machine churned out 3,000 cups of coffee every single hour. The taste? Not so good. The high temperatures at which the coffee was brewed in the newfangled machine produced a very bitter, almost burnt beverage. Luigi Bezzera, a manufacturer from Milan, Italy, envisioned a machine that could quickly dispense coffee in more practical quantities. On coffee break in the factories, men would wait leisurely for their coffee to brew before drinking it and going back to work. Factory bosses naturally wanted to speed the whole process up. Bezzera constructed the answer. Bezzera's machine, patented in 1901, also included a boiler that forced hot water through coffee grounds. However, Bezzera added portafilters, baskets into which the coffee grounds could be carefully tamped to regulate the pressure and consistency at which the water would be forced through the grounds. These portafilters were clamped onto groupheads in the machine. Both groupheads and portafilters characterize modern espresso machines today. The temperatures in Bezzera's machine were lowered as they passed through the various mechanisms of his machine, alleviating the burnt, bitter taste. In only 30 seconds, hot coffee gushed from the machine straight into the workman's cup. The next guy in line for a cup of coffee from one of Bezzera's machines might not receive quite the same quality of coffee as the man before him, however, since temperatures and pressures inside the machine varied with the changing intensity of the flame that heated it. Bezzera did not have the necessary money or skill for marketing his product. Desiderio Pavoni had both, along with some inventive capabilities of his own. In 1905, Desiderio Pavoni purchased the patent for Bezzera's steam-powered coffee maker and put it on the market. Pavoni's enhanced machine flaunted both a pressure release valve and a steam wand. Named the Ideale, the new espresso machine debuted at the Milan Fair in 1906 and was produced at a rate of one a day from a small workshop in Milan. As use of the new machine gained prevalence, fondness for the distinctive "espresso" coffee that it produced grew as well. Yet espresso had not yet truly come into its own as a unique brew. The 1.5 bars of pressure that a steam-powered machine could produce formulated a coffee that fell far short of the concentration and potent taste of a demitasse of espresso today. Espresso in the early 1900's was not really much different than a regularly percolated cup of coffee. Alfredo Panzini, a writer from Senigallia, Italy, published the first dictionary to include the word espresso as a coffee around 1920. It was defined as "caffé espresso, made using a pressurized machine or a filter, now commonplace." Pier Arduino from Turin, Italy, realized the inadequacy of using steam to power coffee makers, but he simply couldn't generate any solutions. In spite of blueprints and even patents, Arduino's potential inventions just didn't work. Nonetheless, Arduino's failures in engineering didn't put a damper on his ardent love for espresso machines. He sold them in Paris and exported them around the world. To advertise the machines, he hired an Italian artist named Leonetto Cappiello. A man in a yellow coat hangs from the open door of a rushing, steam-powered train. He's reaching out to draw a hot cup of coffee, fresh from an espresso machine. Cappiello's 1922 advertising poster is still iconic. Steam-powered speed. The essence of the first espresso. What Arduino could not accomplish, Achille Gaggia found a way to attain in 1947. Gaggia's iteration of the espresso machine was still essentially powered by steam. However, water was forced through the coffee grounds at dramatically heightened pressures through the addition of hand-pumped spring-pistons. Steam boilers were smaller on Gaggia's machines. Yet with the use of the hand levers, an increased eight to ten bars of pressure (eight to ten times the amount of pressure naturally exerted by earth's atmosphere) spurted through the grounds. Achille Gaggia's high-pressure machines extracted even the essential, soluble oils from the finely ground coffee beans, leaving a frothy foam on the top of every cup. This unusual floating layer was not necessarily an advantage – it looked like scum, after all. Gaggia embraced it, named it, marketed it, popularized it. Nearly three quarters of a century later, avid coffee enthusiasts still look for the "crema" as the badge of a perfectly brewed cup of espresso. Crema was not the only classic feature bequeathed to the espresso by Gaggia's machines. In order for the hand-pumped levers to operate properly, the cylinders on the new machines were limited to holding only a single ounce of water. The tiny "shot" of espresso that poured out of the machines was highly concentrated. Drank straight, the flavor was something new – bold, potent. Concentrated into one ounce of liquid, velvety and rich, crowned with a foamy crema, espresso had come into its own at last. The next celebrity of espresso was the Faema E61. Ernesto Valente, head of the Faema company, wanted to make espresso machines accessible even to small cafés and coffeehouses. The first step was to make espresso makers more affordable, but that was not the only conspicuous improvement of the Faema E61. The Faema E61 was semi-automatic, eliminating the need for Gaggia's hand-pumped levers. Instead, a motor in the Faema E61 pumped water through a spiral copper pipe inside the boiler, heating the water to a perfect brewing temperature before forcing it through the coffee grounds at exactly nine bars of pressure. The result was a consistent, easily achieved espresso – but that wasn't all. Gaggia's espresso machines were large, vertical constructions, but the Faema E61 was a smaller, stainless steel, horizontal machine. Easier to operate, cheaper, smaller, Faema E61's suddenly appeared everywhere in Italy. They were at home in Italian coffeehouses where the climate was all about socializing together over affordable, iconic cups of coffee. They were welcomed around the rest of the world, too. In fact, Faema remains a recognized brand in the coffee industry yet today. In the late 1970's, a company named Ulka produced the first espresso machines truly suited for home use. Finally, the espresso machine was small enough, affordable enough, and easy enough to operate to allow espresso to be brewed in home kitchens. The Ulka machine was bought out by larger companies as both commercial and home-use machines were perfected and produced around the world. Before Howard Shultz purchased Starbucks in 1987, it was merely a company focused on purchasing, roasting, and selling coffee beans. Shultz had a different vision. He had visited Milan, Italy, in 1983, and there he had seen what a relationally - centered, local coffeehouse could be. Through Starbucks, espresso reached new heights as a café experience in America, as well. Bigger machines were introduced with more capacities for creating the varieties of espresso-based drinks that Americans came to love. Although many espresso enthusiasts remember its Italian roots, espresso could no longer be defined as an Italian only drink. When electric pump models were introduced in espresso machines, the capacity of the cylinder was no longer limited to one ounce of water as it had been with hand-pumped machines. Further innovations could potentially be introduced. However, the "classic" espresso as it had been brewed in the 1950's had become legendary. People around the world had a love affair with the concentrated, bold flavor and the distinctive crema. Espresso was no longer just coffee prepared quickly using a machine. Espresso had become a unique drink of its own, with a legacy of lore and art attending its preparation. The one ounce "shot" of espresso was here to stay. Many espresso devotees approach every demitasse of espresso critically. Differences in the machines used to prepare the espresso can create subtle differences in the resulting flavor. The blend and roast of the coffee beans used will certainly produce distinctive tastes. The texture of the grind should be uniform and fine – but not too fine. Even the skill of the barista who drew the coffee is critiqued in that first sip. Every individual person has slightly different ideas about what constitutes the perfect shot of espresso, influenced by their own culture, locality, and personal tastes. Nonetheless, the espresso retains an identity of its own. Even if you don't appreciate the intense flavor of a pure shot of espresso, you've probably enjoyed espresso as a base for a coffee drink that you do love. Simply adding hot water or mineral water to an espresso "waters it down" to an Americano, but the possibilities certainly don't stop there. Especially in the United States, steamed milk is often added to espresso along with a long list of other potential, sweet ingredients to create an immense variety of coffee beverages. 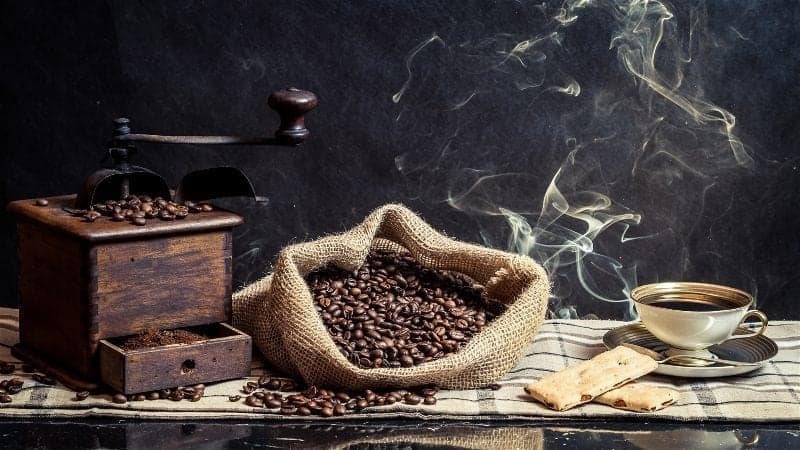 Previous Post Stovetop Espresso Maker Vs French Press – In Depth Comparison Next Post 12 Health Benefits of Coffee You Shouldn’t Miss!